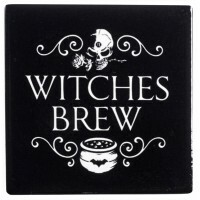 Freaks Like Me Drink Tea ceramic coaster is perfect for any Gothic Home. 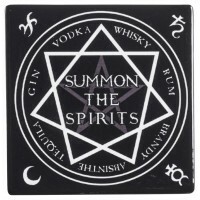 Part of Alchemy Gothic's fun line of Gothic Home Wares collection, this high quality ceramic coaster measures 3.66 inches square and .31 inches deep. 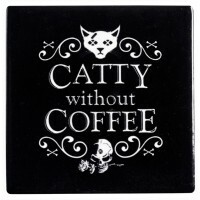 Great as a coaster, small trivet, or accent tile on your wall. Item Number: AG-CC5 | Approximate Size (Inches): 3.66 wide x 3.66 deep x 0.31 high | Approximate Shipping Weight: 0.50 lbs.